I take my coffee with milk, sugar, and a splash of humor. The products in this post were updated in October 2017. 1. A heat-changing mug ready to disrobe and reveal the human form in all its glory. 2. 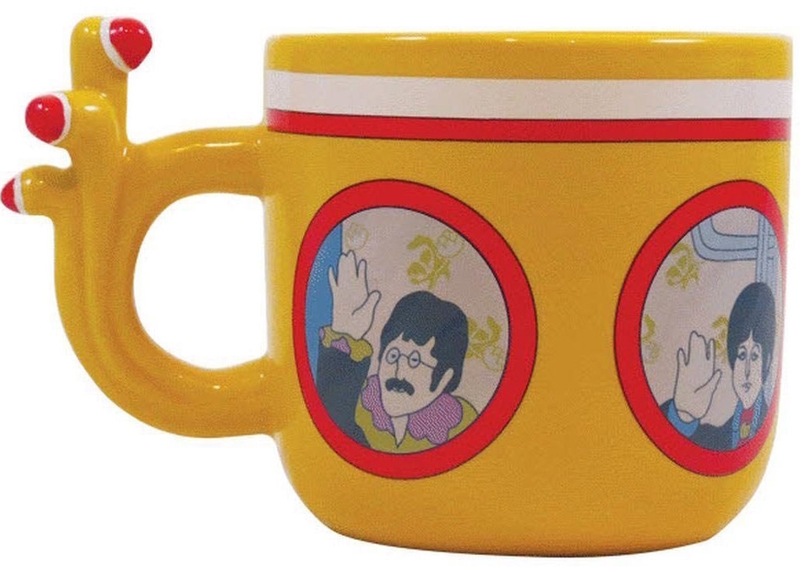 A John Lemon mug known be a dreamer. Constantly singing, "Imagine all the people making lemonaaaade." Get it from Kate Powell Art on Society6 for $15.99. 3. A coffee mug perfect for those moments when your best friend decides to be hangry. Just please, have a Snickers. There is nothing worse than hanger. 4. A passive-aggressive mug with a terrible temper. Could easily play Joe Pesci's character in Good Fellas, for example. 5. 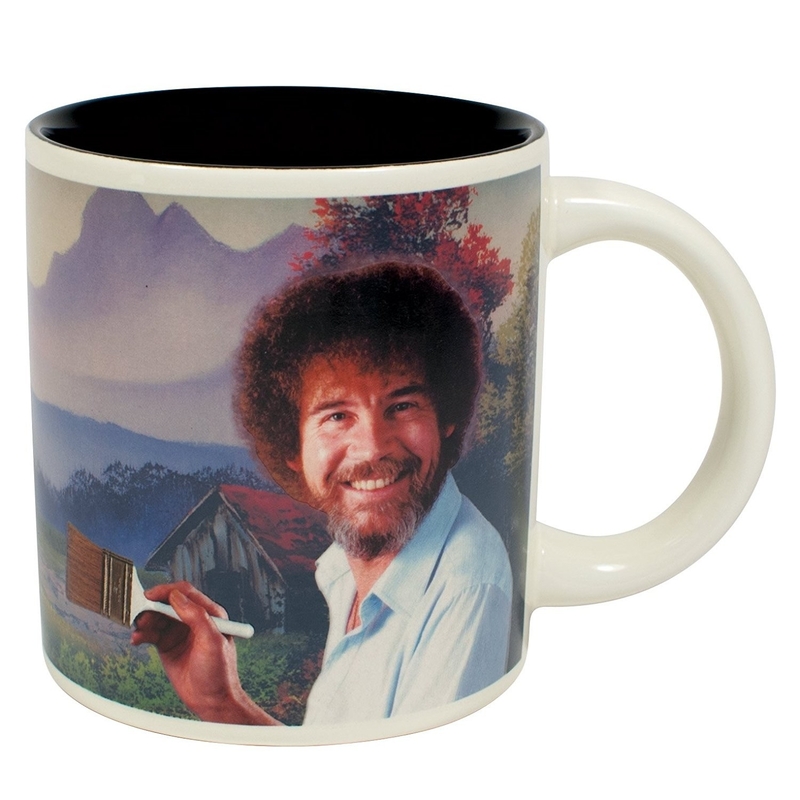 A heat-changing Bob Ross mug that doesn't make mistakes. It just has happy accidents. Spilling your coffee, for example, is a happy accident. 6. A tell-tale mug with a serious aversion to bells. However, it has the poe-tential to live a long, fulfilling life. If only it would stop hanging out with Annabelle Tea, dammit. Get it from Obvious State on Etsy for $12.80. 7. 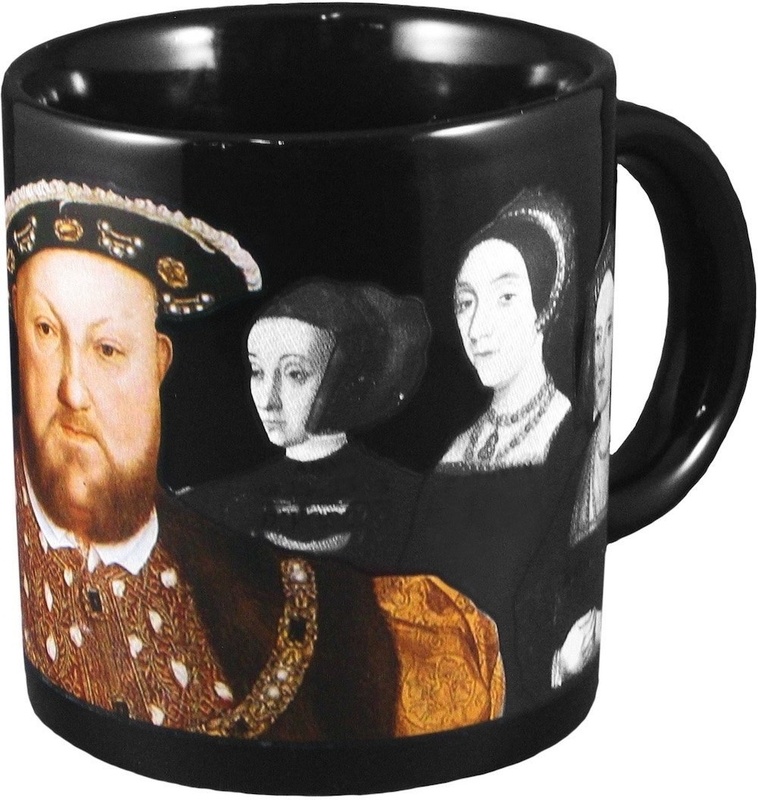 And another coffee mug scared of bells. So bizarre. What is with them? 8. An undercover mug trying to solve a murder investigation. It has since found some leads in the shark community. Get it from VIN ZZEP on Society6 for $15.99. 9. A heat-changing mug currently employed as a magician. 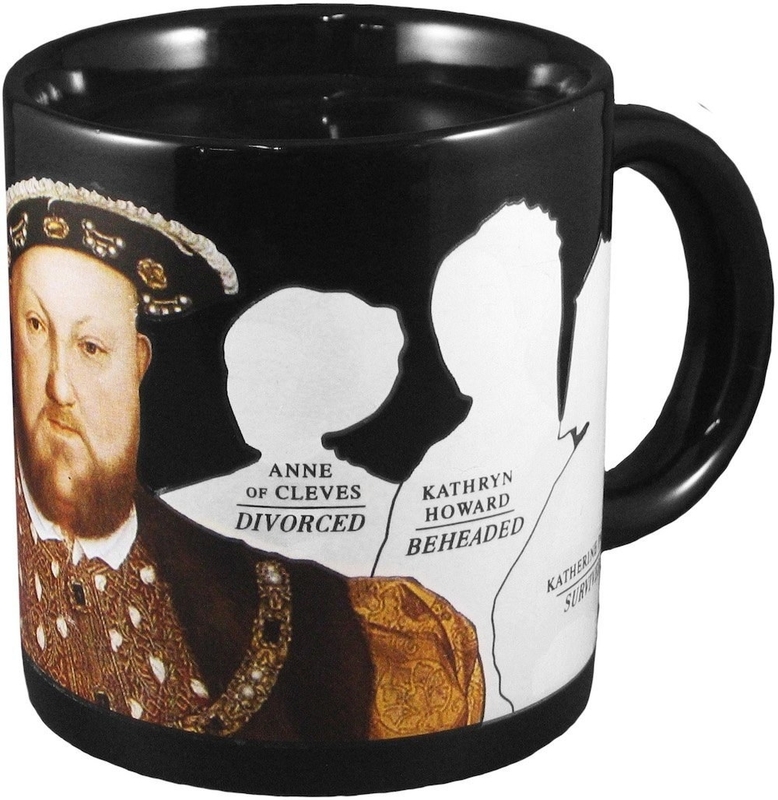 Can make all of Henry VIII's wives disappear. 10. A cookies and milk mug meant for Oreos, NOT Chips ahoy. Oreos are superior and should be treated as such. Get it from In A Glaze on Etsy for $27. 11. A sloth mug you should give to the person who talks WAY too much in the morning. This will inspire feelings of laziness. How do people have so much energy in the morning? Is it genetic? Is it their diet? WHAT IS IT? Get it from Central23 on Etsy for $15.08. 12. 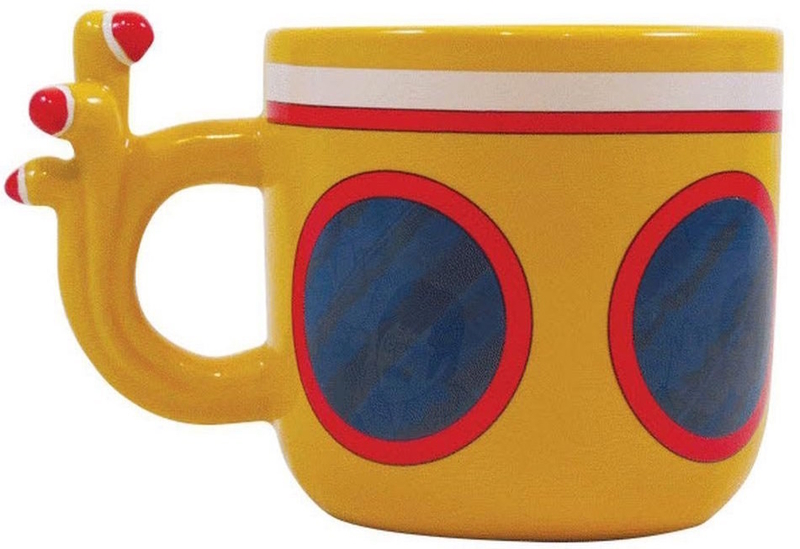 An extraterrestrial mug that comes in peace. Also, can it borrow your cell? It wants to phone home. 13. A wise mug revered by the entire llama community. 14. 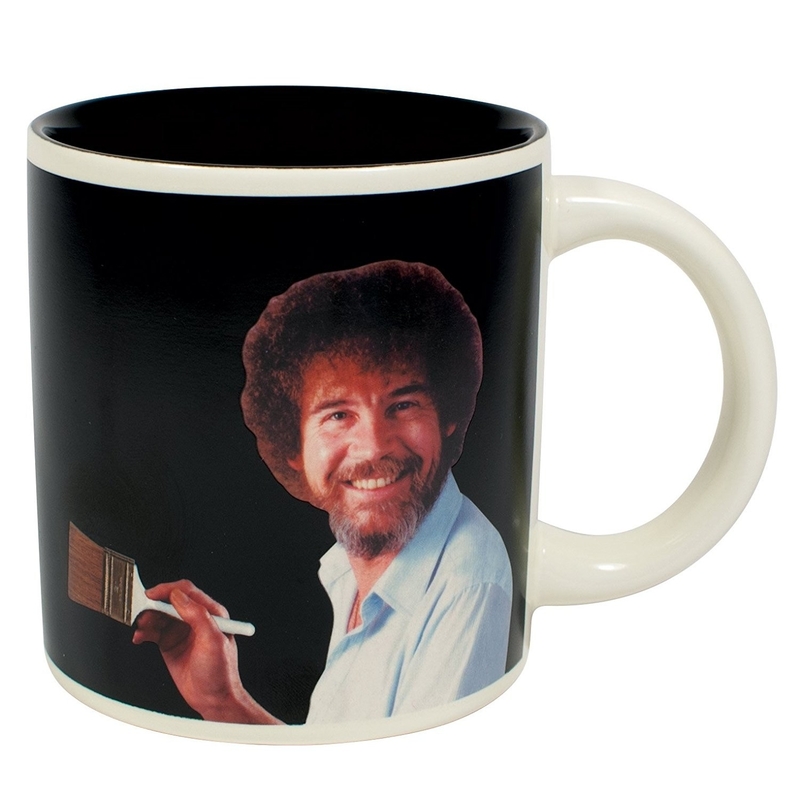 A coffee mug you should definitely keep at work. This will definitely not irritate your boss. Get it from Foxy Mug on Etsy for $14. 15. A heat-changing mug that’s trying to get over a fear of asteroids. It co-wrote the song “Great Balls of Fire” to cope. 16. A David Bowie mug with proof that time may change me, but I can't trace time. Just so many ch-ch-changes, you know? Get it from Helen Green on Society6 for $15. 17. A basketball mug guaranteed to have you yelling "KOBE" every time you get a marshmallow though the hoop. 18. A punny mug designated for the "most wonderful thyme of the year." Get it from David Olenick on Society6 for $15.99. 19. A heat-changing mug that is always trying to hold your hand. Even when it's dancing with another! The nerve. 20. A punny mug obsessed with the song "That's Not My Name" by The Ting Tings. I have no idea why. Get it from Catsicorn on Etsy for $12.34. 21. A coffee mug whose whereabouts are unknown. It was last seen in "National Treasure" and has been missing ever since. I think it left clues on the Declaration of Independence. Maybe we can steal it?